My brother Kevin thinks God lives under his bed. At least that's what I heard him say one night. He was praying out loud in his dark bedroom, and I stopped outside his closed door to listen. "Are you there, God?" he said. "Where are you? Oh, I see. Under the bed." 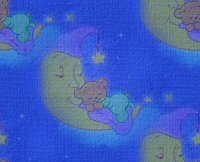 I giggled softly and tiptoed off to my own room. Kevin's unique perspectives are often a source of amusement. But that night something else lingered long after the humor. I realized for the first time the very different world in which Kevin lives. He was born 30 years ago, mentally disabled as a result of difficulties during labor. Apart from his size (he's 6-foot-2), there are few ways in which he is an adult. He reasons and communicates with the capabilities of a 7-year-old, and he always will. 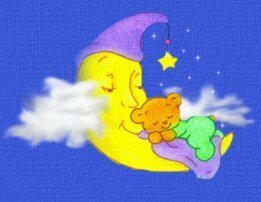 He will probably always believe that God lives under his bed, that Santa Claus is the one who fills the space under our tree every Christmas, and that airplanes stay up in the sky because angels carry them. I remember wondering if Kevin realizes he is different. Is he ever dissatisfied with his monotonous life? Up before dawn each day, off to work at a workshop for the disabled, home to walk our cocker spaniel, returning to eat his favorite macaroni-and-cheese for dinner, and later to bed. The only variation in the entire scheme are laundry days, when he hovers excitedly over the washing machine like a mother with her newborn child. He does not seem dissatisfied. He lopes out to the bus every morning at 7:05, eager for a day of simple work. He wrings his hands excitedly while the water boils on the stove before dinner, and he stays up late twice a week to gather our dirty laundry for his next day's laundry chores. And Saturdays--oh, the bliss of Saturdays! That's the day my dad takes Kevin to the airport to have a soft drink, watch the planes land, and speculate loudly on the destination of each passenger. "That one's goin' to Chi-car-go!" Kevin shouts as he claps his hands. His anticipation is so great he can hardly sleep on Friday nights. I don't think Kevin knows anything exists outside his world of daily rituals and weekend field trips He doesn't know what it means to be discontent. His life is simple. He will never know the entanglements of wealth or power, and he does not care what brand of clothing he wears or what kind of food he eats. He recognizes no differences in people, treating each person as an equal and a friend. His needs have always been met, and he never worries that one day they may not be. His hands are diligent. Kevin is never so happy as when he is working. When he unloads the dishwasher or vacuums the carpet, his heart is completely in it. He does not shrink from a job when it is begun, and he does not leave a job until it is finished. But when his tasks are done, Kevin knows how to relax. He is not obsessed with his work or the work of others. His heart is pure. He still believes everyone tells the truth, promises must be kept and when you are wrong, you apologize instead of argue. Free from pride and unconcerned with appearances, Kevin is not afraid to cry when he is hurt, angry or sorry. He is always transparent, always sincere. And he trusts God. Not confined by intellectual reasoning, when he comes to Christ, he comes as a child. Kevin seems to know God-- to really be friends with Him in a way that is difficult for an "educated" person to grasp. God seems like his closest companion. In my moments of doubt and frustrations with my Christianity, I envy the security Kevin has in his simple faith. It is then that I am most willing to admit that he has some divine knowledge that rises above my mortal questions. It is then I realize that perhaps he is not the one with the handicap -- I am. My obligations, my fear, my pride, my circumstances -- they all become disabilities when I do not submit them to Christ. 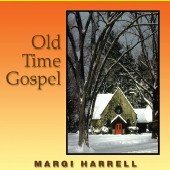 The song "A Child's Gospel" is featured on "Old Time Gospel" CD by Margi Harrell.